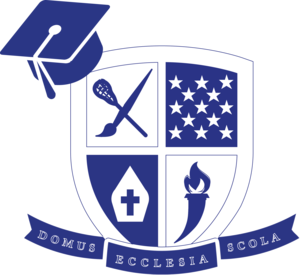 Learn about Greenwich Catholic School's curriculum work and the 6 home habits you can promote to help your child succeed in school. 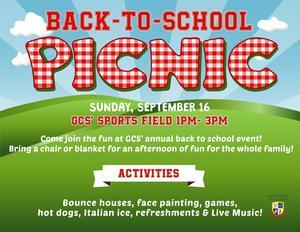 Join us for Family Fun at GCS! Middle school students and their families considering independent, parochial and boarding schools are invited to attend. In this interactive workshop hosted by My Remarkable Self, you will have the opportunity to discuss and explore the importance of communication and how to communicate effectively with our children, no matter their age. 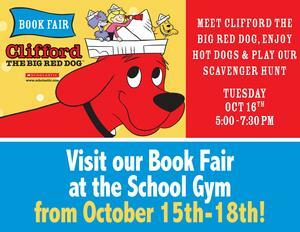 Our “Paws for Books” Spring Book Fair starts on May 7th! We will be at the School Gym for this event so get ready to find the purr-fect book from May 7th-10th! Click here to learn more. From 4/30 to 5/4, we will be collecting gently used kids' clothes and shoes (all seasons) to donated to Clothes to Kids of Fairfield County. Bins will be located outside the front office this week. Help provide Easter dinner along with new household items for 15 families who are moving out of Inspirica’s Family Housing. Collection bins will be in the front hallway from March 12 - 23.